The comic entitled, Ghostbusters 101 is by the regular Ghostbusters creative team of Erik Burnham, Dan Schoening, and Luis Antonio Delgado. 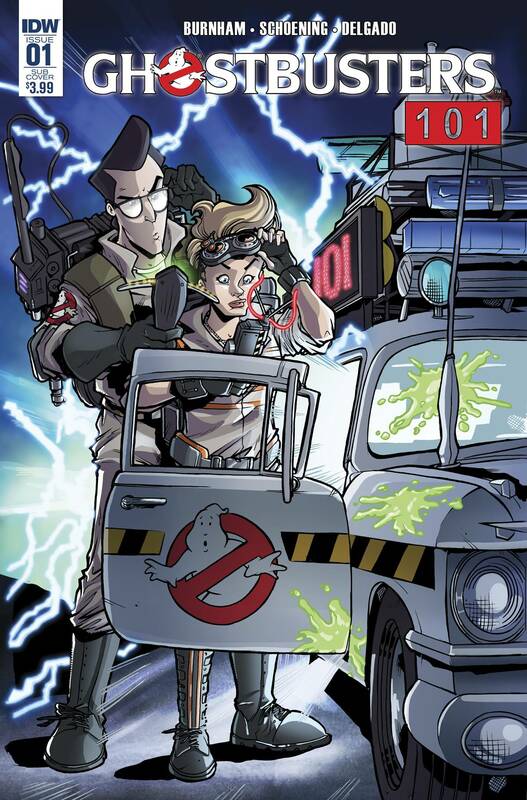 IDW’s comic book series has previously established a Ghostbusters multi-verse, including everything from the Real Ghostbusters to Extreme Ghostbusters. This new crossover will have the two groups taking on a Secret Wars style clash of realities and of course busting ghosts. One has to wonder if Patty will notice that Winston looks a lot like her Uncle Bill. 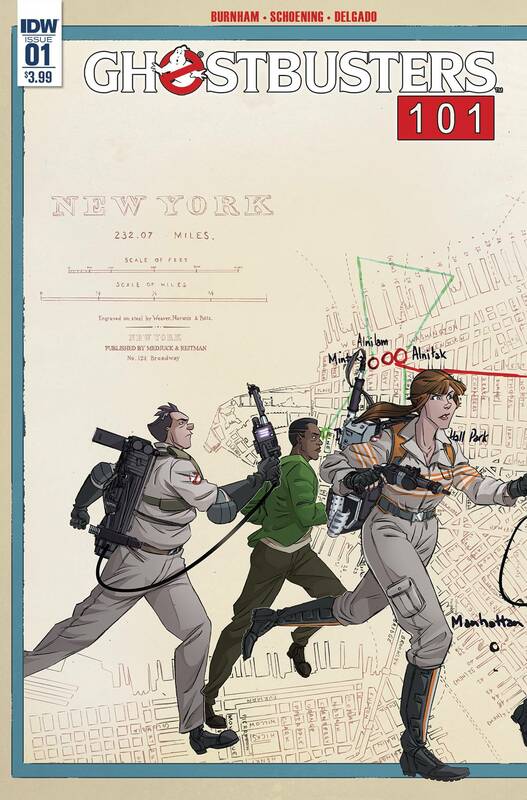 – Straight outta the 2016 film, the Answer the Call Ghostbusters make their comic book debut! Abby, Patty, Erin and Holtzmann join forces with Winston, Egon, Ray and Venkman for some bombastic ghostbustin’ insanity! – Written and illustrated by the fan-favorite and critically-acclaimed creative team of Erik Burnham, Dan Schoening and Luis Antonio Delgado. – Featuring the first of six-interconnected covers by Schoening and Delgado. – Retailer incentive covers feature photos of the Original and ATF Ghostbusters casts! Ghostbusters 101 will retail for $3.99, and hits comic book shops on March 22, 2017. I think it’s safe to say, that everyone at horrormovies.net is on board for this. You might have noticed by the bulk of Ghostbusters related articles, but busting makes us feel good! A look back at Extreme Ghostbusters!